Welcome to the official web site for the music of Vic Sadot. 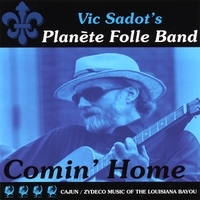 The latest CD by Vic Sadot was released in December 2016. It is the most acoustic CD of the 4 that Vic has posted at CD Baby. It’s called Truth Troubadour. Vic is on vocals, acoustic guitar, and some piano accordion. It also features great viola, violin, and ukulele improvisations by Eric Golub. 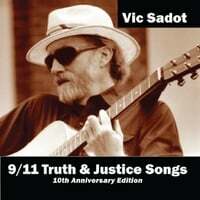 This official site for Vic Sadot Music was launched on the same day as Vic’s release of 9/11 Truth & Justice Songs, on September 11, 2011. This is the third CD by Vic Sadot at CD Baby. The first one was Comin’ Home, a 16 song Cajun/Zydeco & New Orleans R&B CD released in 1997. The second was Broadsides & Retrospectives, a 19 song “Best of 25 Years of Vic Sadot Songs” released in 2005. Aloha Montana Podva! Best regards too!